Christmas holidays greeting card with Christmas tree. 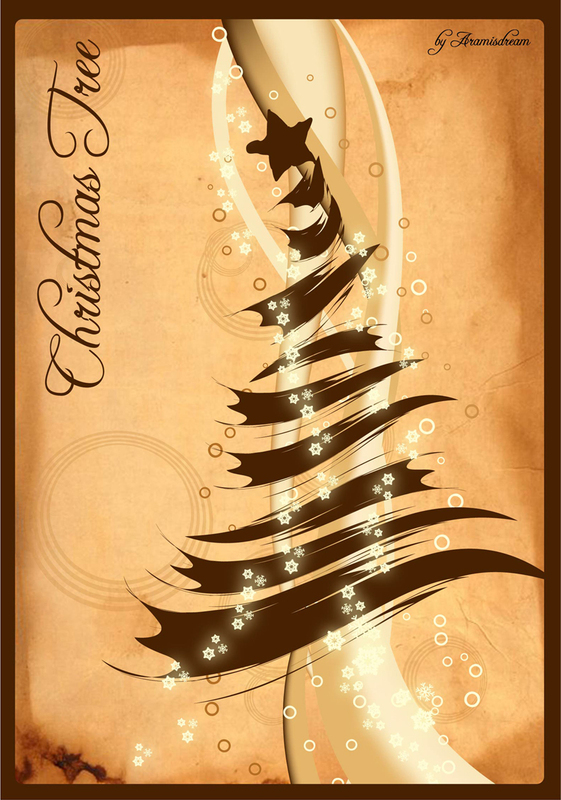 Stylized Christmas tree on a golden background with stars, snowflakes and swirls. Vector Artist: www.aramisdream.deviantart.com 0.